Well, this weekend is the Red Bull Air Race here in San Diego. This is the third time it’s going to be held in San Diego, right on the bay, and my second time going. It’s a sight to see if you’ve never been to one. The skills that these pilots showcase with these planes are amazing to say the least. Make sure you check it out if you’re in San Diego and if you love planes. After all, it’s free to see in certain areas along the bay. But more specially, the Coronado side of the San Diego Bay. Since I’ll be there, make sure to come back to Communicating Ideas, as I’ll have pictures to show. 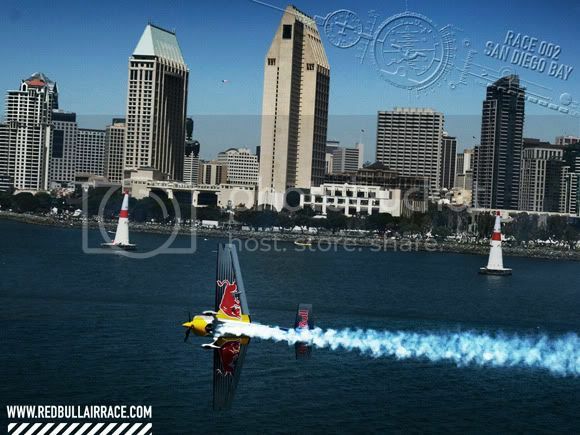 In the meantime, check out my photos of the Red Bull Air Race in San Diego 2008 I took last year on Lapada Gallery. For more info about the Red Bull Air Race, check out this link… CLICK HERE.